Revelation 3:10 – one of the most contested verses in this book of the Bible. Today on Scandia Bible Church Podcast, Pastor Monty Simao continues with our study in the book of Revelation by taking a moment to unpack this particular verse. Let’s face it, while everyone in the church agrees that Christ is coming again, not everyone agrees on how it plays out. And while there are multiple interpretive frameworks regarding the book of Revelation, how you interpret what it means for “God to keep us” reveals much about the framework you operate from. Missionary David Hardin and his family stopped by to worship with us this Sunday. 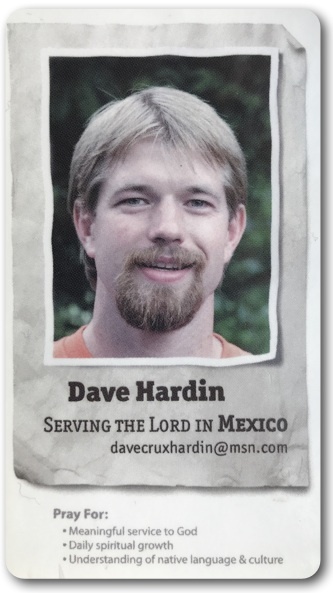 Many years ago, David grew up in our church, and now he is a Missionary to the Tarahumara people of the Sierra Madre Mountains of Mexico through Mexico Medical Missions. Though he did not preach today, he did give us an update, and with that an unexpected insight into something we all too easily take for granted. This entry was posted on Sunday, December 2nd, 2018 at 8:09 pm and is filed under Monty Simao, Revelation. You can follow any responses to this entry through the RSS 2.0 feed. Both comments and pings are currently closed.